Small but well defined and bright crystals of this very uncommon species. 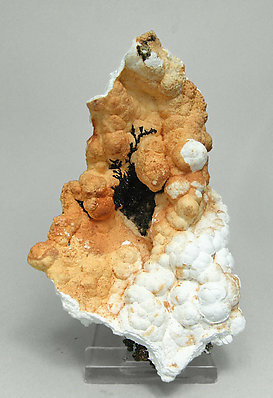 They are partially covered by stalagmitic growths of Calcite whose color is between orange and creamy. Irregular aggregate of black crystals, small but very well defined and bright, of this very uncommon species. 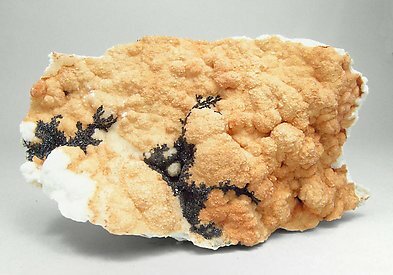 They are on globular Calcite whose color is between orange and creamy. 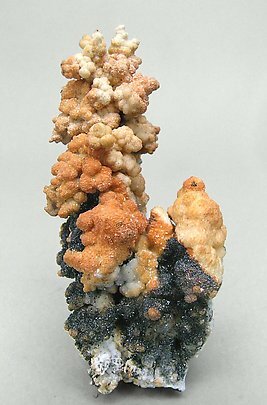 Irregular aggregate of black crystals, small but very well defined and bright, of this very uncommon species. 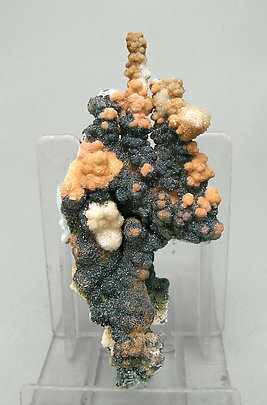 They are on a matrix of globular Calcite whose color is between orange and white.